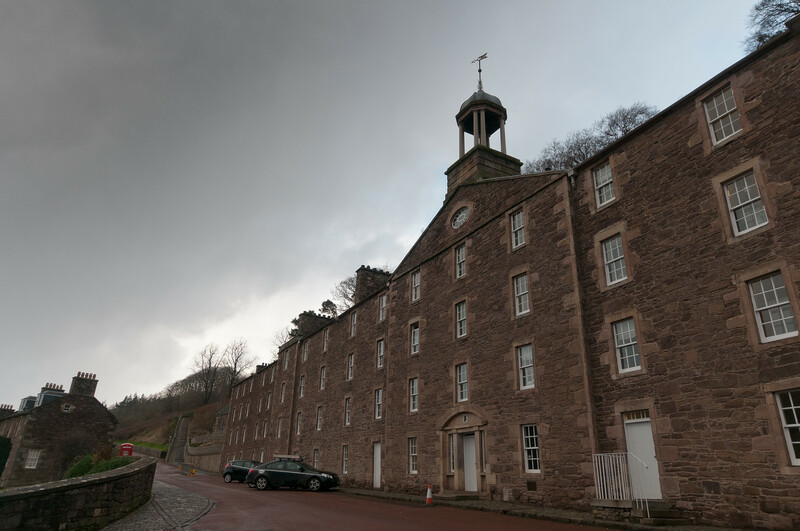 When Richard Arkwright’s new factory system for textile production was brought to New Lanark the need to provide housing and other facilities for the workers and managers was recognized. It was there that Robert Owen created a model for industrial communities that was to spread across the world in the 19th and 20th centuries. 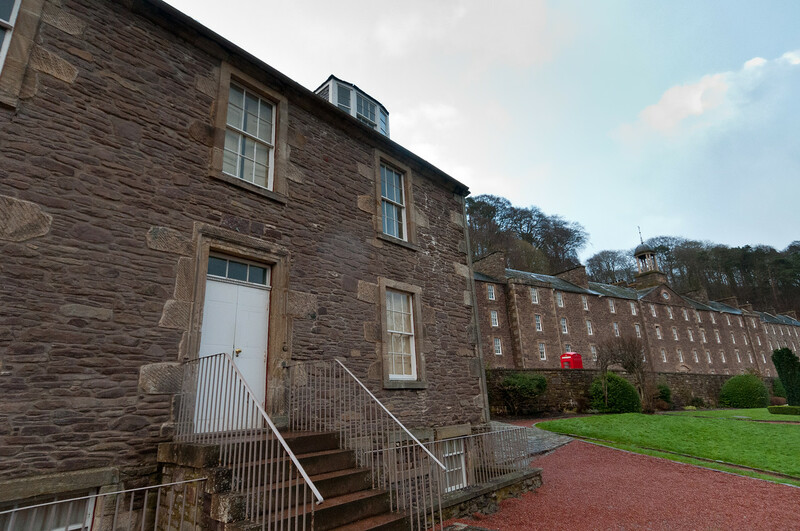 New Lanark saw the construction not only of well designed and equipped workers’ housing but also public buildings designed to improve their spiritual as well as their physical needs. It has the most complete integration of architectural design of all the early cotton mill settlements, a type illustrating the most revolutionary element of the Industrial Revolution. The buildings and water-power system express the extension to the outermost limits of the application of materials and techniques to the new industrial age. The name of New Lanark is synonymous with Owen and his social philosophy in matters such as progressive education, factory reform, humane working practices, international cooperation, and garden cities, which was to have a profound influence on social developments throughout the 19th century and beyond. Owenism, utopianism, philanthropy, cooperation, communitarianism, industrial capitalism, concepts of the sublime landscape, and models for modern conservation partnerships were all shaped at New Lanark. This is a fascinating World Heritage site that many people traveling to Scotland might overlook. New Lanark was part of a utopian movement which began in late 18th and early 19th centuries. Many social reformers were trying to make the world a better place by creating communities based on new rules and new social structures. Robert Owen created his vision at New Lanark. 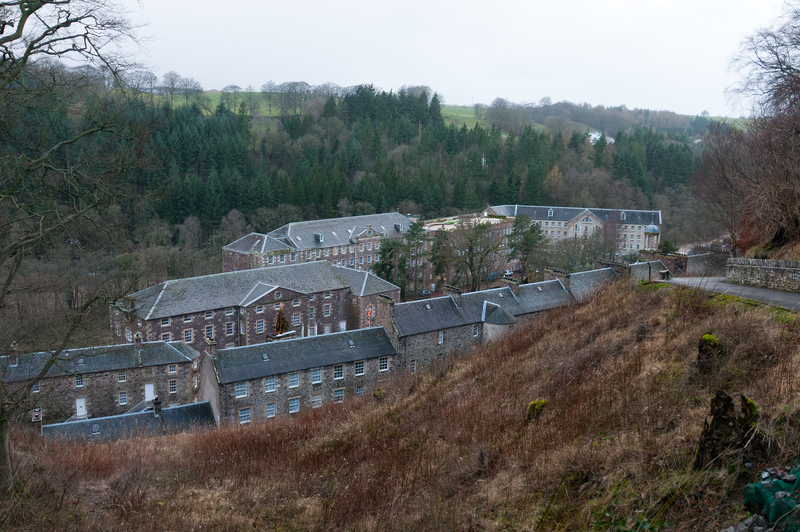 New Lanark was a cotton mill with a community around it. Many of the things implemented there were unheard of at the time: schooling for children under the age of 12, an apartment for families to live in and free health care. Ironically, life at New Lanark by today’s standards would be considered exploitative: children work in a factory at the age of 12, 6 work days a week and the food and housing allotment would be on a par with a company mining town. The New Lanark mill was in operation from 1785 until 1968. In 1975 the New Lanark Heritage Trust took control and began preservation efforts. Today there is a hotel and restaurant on site and artisan, organic wool spinning is done on site. The site currently gets over 300,000 visitors a year. It is a short drive from Glasgow, which would be the closest major city. New Lanark is a UNESCO World Heritage Site in Scotland inscribed in 2001. It is listed in the Cultural category. The protected area consists of a village that is located along the River Clyde and around 1.4 miles from Lanark, in Lanarkshire. This village was founded in 1786 by the same man who built cotton mills and housing for the workers in these mills – David Dale. He worked with English entrepreneur Richard Arkwright who utilized the power provided by the water of River Clyde to run the cotton mills. This village is therefore considered as the best example of utopian socialism in Europe. 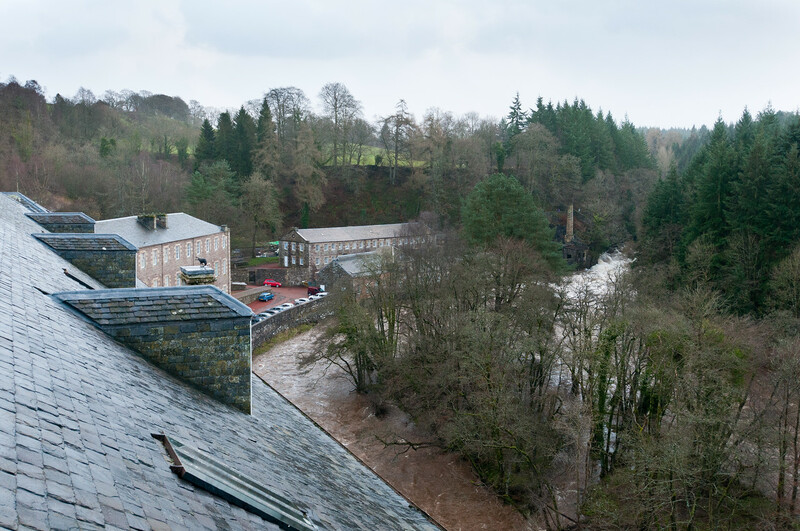 New Lanark features a planned settlement and played a crucial factor in urban planning and future developments. The term New Lanark was coined to refer to this 18th-century old village that was built around a cotton mill. It flourished during the late 18th and early 19th century as a cotton-spinning village. It was under the supervision of Robert Owen when this village established economic and social success. He worked hard to improve the conditions and facilities available to the workers. Among the improvements, he had done for the entire village and its residents included progressive education, installation of garden cities, implementation of humane working practices, and factory reform. By near the end of the 18th century, New Lanark was the largest cotton mill in all of Scotland. In fact, it has one of the largest cotton mill factories in the world during that time. The entire village had a population of about 2,000. This continued on for the next 200 years until the cotton mill stopped its operation in 1968. This explains why the buildings in New Lanark looked exactly like they did when they first built, or during the height of the cotton mill industry in this village. For visitors, finding a place to park your vehicle should be easy since there is a large and free car park available just outside this village. For parking inside the village, this is only available to the disabled. There is an incentive to walking to the village as you get to enjoy panoramic views. For those interested to staying for a while and exploring more of New Lanark, there is a hotel within the village called New Lanark Mill Hotel. It is operated by the New Lanark Conservation Trust. Meanwhile, there is also a youth hostel that is operated by the Scottish Youth Hostels Association. In addition to these places of accommodation, there are restaurants and shops within the village. Amazing concept. Glad its listed as a world heritage site.